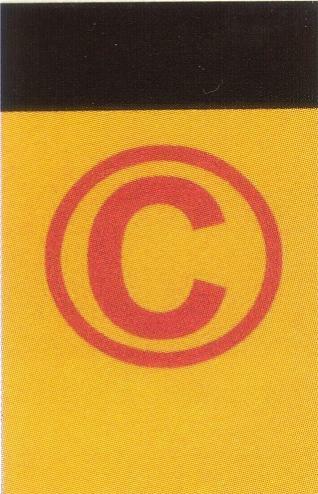 The ‘C’ flag and funnel were adopted when the company was founded in 1934. 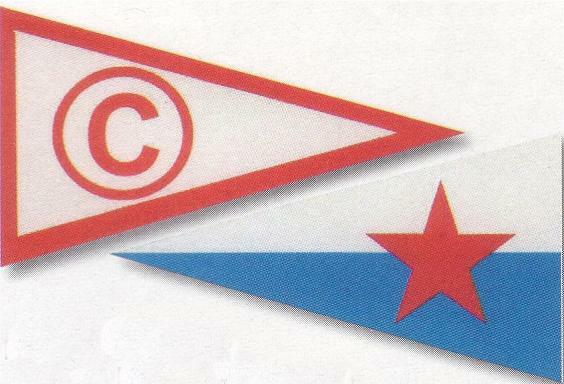 The funnel and pennant with the star were adopted soon after World War II and is based on the markings of R&K’s pre war Greek Ships but with buff basic replacing black. The markings continued in use with LOF and are still in use by R&K to 2007. London-Greek ship owners have long been part of the British shipping scene. Greeks were attracted to the city because of its centre for fixing cargoes, chartering and other activities such as banking and insurance, all essential to running ships. Although some have deserted London for New York and Piraeus, there remains a sizable Greek ship owning community in the city. 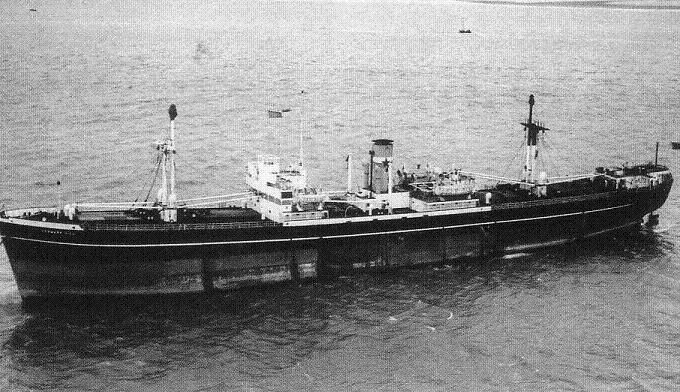 One of the longest established and most respected UK-based Greek ship owning organisation is the Rethymnis and Kulukundis operation, which in post war years controlled one of the largest UK-flag tramp fleets, Counties Ship Management Ltd.
1920 Manuel Kulukundis (1898-1988) arrived in London. After gaining experience in a shipping office, in July 1921 he set up Rethymnis and Kulukundis (R&K) with his cousin Captain Minas Rethymnis. Although nominally acting only as agents for ship-owners based in Greece, R&K were themselves virtual ship-owners. They would arrange to purchase a ship, obtain finance and usually take a shareholding themselves, take out insurance, buy fuel and – most importantly – fix cargos, leaving the owner to provide crews and carry out maintenance. Thus, the vessel benefited from being operated from the major centre of the shipping industry, but its profits were earned in Greece and hence avoided much British taxation. The Greeks from the islands who made up the majority of the county’s ship-owners, much preferred to put their trust in a fellow islander, and R&K represented mainly owners from their home island of Kassos and some from the island of Chios. R&K was easily the most successful of the dozen or so London-Greek offices in London, and in 1938 it had 50 ships under its control. Indeed, such was its growth, that four of Manuel’s brothers came to London to join the company, as did a cousin Basil Mavroleon, of whom more later. A major factor in R&K’s success was its purchase on behalf of fellow Greeks of tonnage at bargain prices. This began in 1921, with Rooke which as the German Slawentzitz had been captured by a Royal navy cruiser in 1914. Thanks to receiving tonnage in reparation for was losses, the British government had more ex-German ships than they knew what to do with. In 1921, the government sold Rooke at the bargain price of £17,000 to R&K on behalf of Elias Hadjilias who renamed her Thetis. As the crisis in shipping deepened during the 1920’s and early 1930’s R&K continued to benefit from ever-cheaper ships, and this culminated in a massive purchase of was standard ships between 1932 and 1934. Most of these came from the fleets of British liner companies which had been part of the Royal Mail group, which had collapsed messily in 1930. Elder Dempster, for instance had no fewer than 24 war standards many of which it sold via R&K in order to survive. Greeks could operate these ships more cheaply than could British owners and, as trading conditions gradually improved through the 1930’s, substantial profits were made, usually by reselling the ships at a much higher price, on occasion back to British owners. R&K formed the Tramp Ship Development Co Ltd to assist these purchases, with finance from Greek banks and British shipping companies such as Lambert Brothers. As well as buying for others, R&K established its own fleet. Its ships were distinguished by names beginning with ‘Mount’ and R&K’s own funnel markings: black basic with white over blue bands (the Greek national colours) on which was a red five pointed star. Initially these ships were registered in Greece, but from 1934 some flew the UK flag. It is doubtful if this was an expression of patriotism for their new home, although many London-based Greeks show great affection for the UK. A more likely reason was that government assistance was at last becoming available for the beleaguered British shipping industry, with subsidies for tramp ship voyages and the ‘Scrap and Build’ scheme to help renew the British fleet. Box Hill and Bury Hill, acquired in 1934 neatly ‘translated’ the ‘Mount’ nomenclature into British names. Each ship was registered in theownership of a single-ship company, the two pioneering vessels belonging to the Surrey Steamship Co Ltd. and the Sussex Steamship Co Ltd, respectively. These and other county names provided a natural title for the company R&K set up to manage its British fleet, Counties Ship Management Ltd.
Only four of the 11 ships delivered to Counties Ship Management in the early years of World War II survived the conflict. 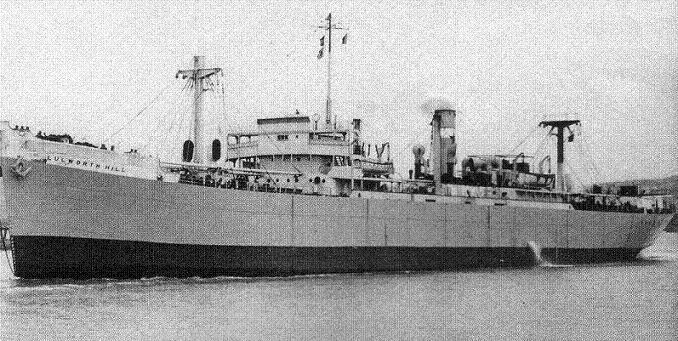 Tower Hill, a Doxford motor ship of 1942 was transferred to LOF in 1950 and renamed London Banker. Several names changes later she was broken up in 1970. Counties Ship Management brought a measure of uniformity to the fleet, most of which wore its funnel colours. However, ownership was still diverse, and each single ship company had an individual pattern of shareholding, with directors and investors including members of the Kulukundis and Rethymnis families, and other Greeks. This helps account for the diversity of the names chosen for ships. Although most were named from hills in London or southern England, some like Argos Hill and Akri Hill had a definite Greek flavour. Others used an entirely separate scheme, the ships of Tower Steamship Co. Ltd, such as Tower Field and Tower Bridge. The vessel’s Michael E. and Marietta E. were named after Michael E. Kulukundis and his wife. Photographs of ships show an occasional variation from the standard funnel colours, for instance, the post-war Akri Hill appears to have a buff funnel, perhaps reflecting the preference of her owning company Akri Steamship Co. Ltd. Built in 1943 as Fort Turtle. 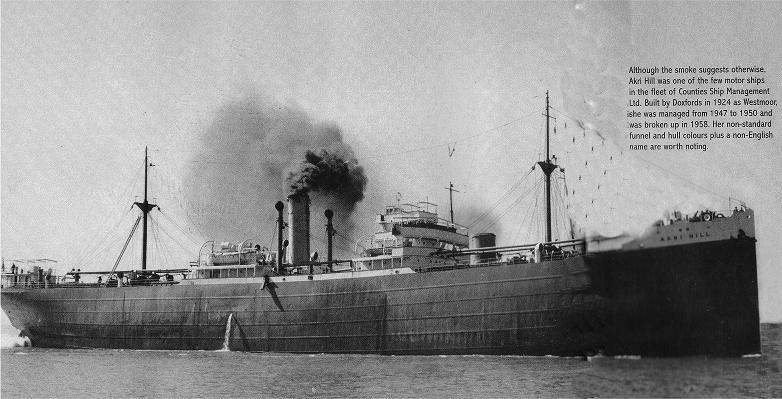 Arundel Hill was briefly managed by Counties before transfer to Coulouthros Brothers who originated on Kassos like the Kulukundis family, and had a major shareholding in owners Ottawa Steamship Co. Ltd. Arundel Hill retained her name, but as seen here has lost the white hull line carried by most of Counties managed ships and carries the Coulouthros funnel colour. part of Gooseberry Harbour 5 Quistreham Normandy. Second of the name Lulworth Hill was a steamer built by the Shipbuilding Corporation Ltd on the Tyne as Empire Mandarin and acquired by Counties Ship Management in 1947. She was renamed Castle Hill just two years later and in 1950 transferred to LOF as the London Builder. was no opportunity to buy ships at bargain prices. However, the company did manage ships for the government, the number operated on behalf of the Ministry of Transport peaking at 17 ships in 1946. There was considerable variation amongst the British-built Empire ships, and the second Dover Hill, built by Short Brothers Ltd on the Wear as Empire Nairobi was of the composite superstructure type. Acquired in 1946, she was sold in 1951, and under a variety of flags survived until 1968. The eleven ships delivered between 1940 and 1942 were Counties’ only new buildings. In 1946, with government slackening its control of shipping, the company embarked on another spree of spending on second hand tonnage. Acquisitions included 11 ‘Empire’ ships built in the UK during the war, and a veteran Akri Hill from 1924. Then came seven US-built Liberty ships which had been on bareboat charter to the British government. 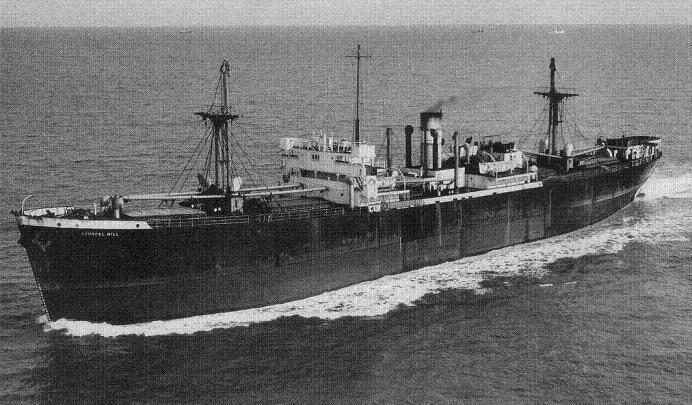 Several tankers joined the fleet in 1948, but the only one given a Hill name was the 1931-built Hawthorn Hill which had been bought from Anglo-Saxon (later to become Shell Tankers) as Cardium. The most spectacular expansion came in 1950 when no fewer than 34 of the Canadian-built ‘Fort and Park’ type joined the fleet. Within three years the fleet consisted entirely of this type, and all others had been either sold or transferred away. Quite why the Canadian ships should be preferred over the basically similar British-and US built ships is not known: perhaps some reader (a few ex Counties personnel still exist amongst us) can provide enlightenment. As a condition of their sale by the Canadian government, the ‘Forts and Parks’ were initially owned by Canadian companies which had Greek shareholders, but were registered in London, and gradually ownership was shifted away from the Canadian to the British companies. wages on British ships were not that high immediately after the war, and the British flag was certainly a respectable one, with good officers and crews available. The Counties ships were employed in typical tramping trades, and could be seen in major ports all round the world; loading grain on the River Plate or in Canada or Australia for Europe , lifting US coal in Newport News for continental European ports, or on charter to liner companies whose own depleted fleets could not meet the demand. With the Korean War and the closure of Suez maintaining high freight rates, the 1950’s were good years for shipping, and Counties Ship Management would have earnt good profits. As the ‘Forts and Parks’ came to the ends of their economic lives under the British flag the Counties fleet slowly dwindled. although its last war standard ship, Denmark Hill, was not sold for demolition until 1968. 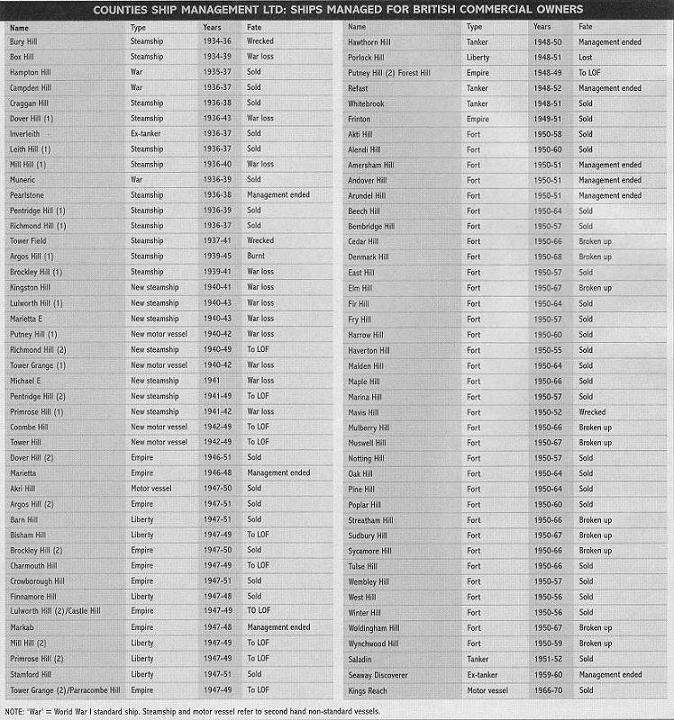 Ships owned by companies associated with R&K and Mavroleon made brief appearances in the fleet list, but the only sign of a possible fleet renewal came in 1966 when the motor vessel Kings Reach was put under Counties’ management following her five year charter to Port Line as Port Campbell. With her sale in 1970 the story of Counties as a vehicle for managing ships under the Red Ensign was practically over. transferred to LOF, despite its establishment as a tanker fleet. It would seem that R&K preferred to channel its investment into its wholly-controlled LOF sector rather than into Counties, although the latter survived for some years as a manager of flag-of-convenience ships. Denmark Hill had the distinction of being the last war-built ship in the Counties fleet when sold for breaking up in 1968. Built as Fort Mattagami, she had one previous commercial owner as Haligonian Princess before Counties bought her in 1950. 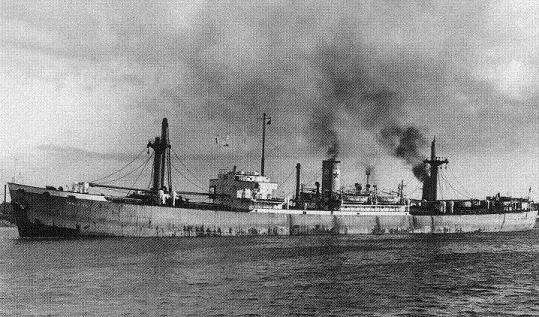 LOF became a major British shipping fleet and operated a mixture of large and small tankers, conventional dry cargo ships, and bulk carriers. The full history is contained within this website. 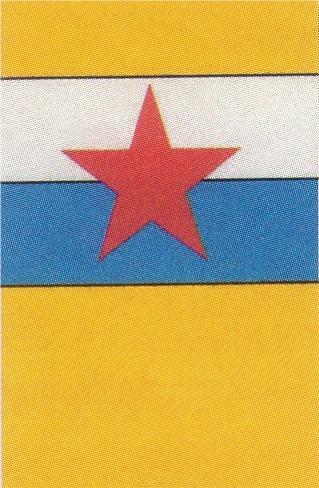 Rethymnis & Kulukundis (R&K) still have offices in London and operate two Handy Bulk Carriers the ‘Star Libra’ and ‘Star Polaris.’ They trade worldwide and the familiar R&K – Counties – LOF funnel and house flag is easily recognisable. It is known that a number of the ‘Kulukundis’ family are still directly or indirectly involved within the shipping industry, both in the UK and the USA. quite troublesome. Around about 1951 some ships moved over to Indian crews and life onboard became much more tolerable. The Radio Officers were all Marconi men. My first ship was the ‘Crowborough Hill‘ joining at Birkenhead, I was lucky in the respect that Counties did not want any monetary assurance of Indentures, for which most shipping companies insisted upon (around £100). If you or a close relation sailed on a Counties managed vessel, or you have any photographs of ships and/or personnel I would be grateful if you could contact me. (e-mail contact below). Ken Dagnall LOF 2nd Engineer. Note by the Web Editor Roy Gerstner The version given is only a short historical extract and if any further information or correspondence comes available this extract will be modified and updated. If any reader can correct any mistake or add details please feel free to contact me via the LOF Website. The article is subject to copyright and permission should be obtained before any part is used, copied, or transmitted in any format.